In case you were not aware, it is possible to Enable Do Not Disturb for specific Contacts on iPhone. This will silence only certain selected Contacts on your iPhone, while allowing messages and calls from everyone else. 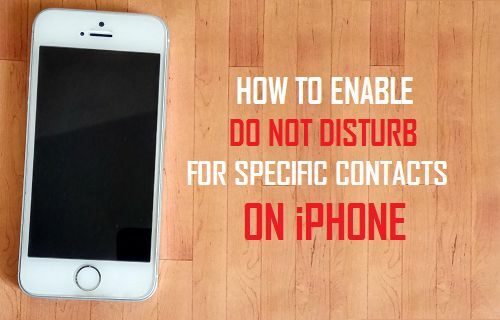 The feature to Enable Do Not Disturb for specific Contacts on iPhone can be useful in situations where you find the need to prevent only certain people from bothering you, while allowing others to Call you. 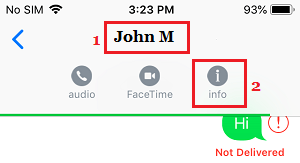 Depending on your case, you can place specific Contacts on Do Not Disturb Mode, using either the Messages App or the Contacts App on your iPhone. You will find below the steps for both methods of enabling Do Not Disturb for specific Contacts on iPhone. In case you have a recent or past message from the Contact, you can follow the steps below to Enable Do Not Disturb Mode for specific Contacts on iPhone. 2. Next, tap on the Conversation of the Contact that you want to place in Do Not Disturb mode. 3. On the next screen, tap on Contact Name or Number and then tap on the “i” (Details) icon. 4. 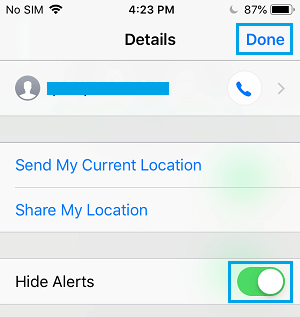 On the Contact details screen, toggle ON the option for Hide Alerts, in order enable Do Not Disturb Mode for this Contact on your iPhone. 5. Tap on Done to save the settings for this Contact. Once you hide alerts for this Contact, you won’t be getting any Message or Call Notifications from this specific Contact, while all other Contacts will be able to Call and Message you. 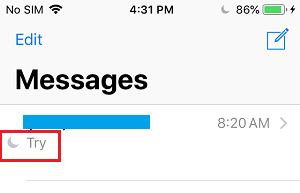 Now, when you go to the Messages App, you will see a “crescent shaped Icon” next to the Message of the Contacts that you have placed in Do Not Disturb mode. 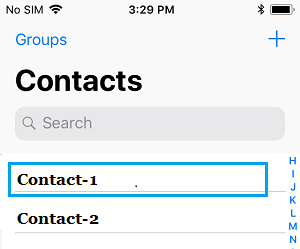 In case you do not have a Message of the Contact that you want to place in Disturb Mode, you can make use of the Contacts App to Enable Do Not Disturb for specific Contacts on iPhone. 1. Open the Contacts App > tap on the Contact that you would like to place in Do Not Disturb Mode. 2. On the next screen, tap on the Message icon. 3. On the next screen, tap on the Contact Name or Number and then tap on Info Icon. 4. On the Contact details screen, toggle ON the option for Hide Alerts, and tap on Done. This way you can place specific Contacts on Do Not Disturb Mode, even if you do not have a message from them. Once you are done with your busy period or the reason for enabling Do Not Disturb Mode for specific Contacts, you can Turn OFF Do Not disturb by following the steps below. 2. Next, tap on the Conversation of the Contact that you want to Turn OFF Do Not Disturb Mode. 3. 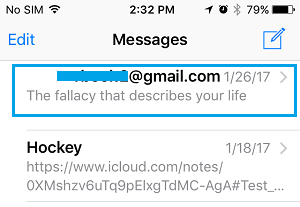 On the next screen, tap on the Contact Name or Number and then tap on the “i” (Details) icon. 4. 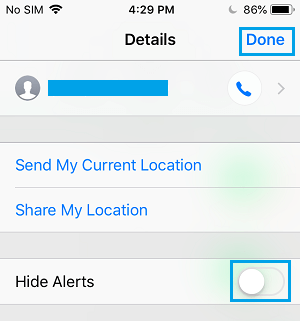 On the next screen, toggle OFF the option for Hide Alerts. 5. Tap on Done to save your settings.